Why would I drive to Pittsburgh after driving all the way across Pennsylvania into Ohio 2 weeks ago? The only reason would be for a wedding. Connie's cousin Danny married Emily and it was one of the best weddings that I have attended in a long time. The ceremony was quick and to the point. She looked fabulous, her family was a blast and Danny is happier than I have ever seen him. Of course, I took the opportunity to go after a life bird while everyone was sleeping off their hangovers. I was up and out of the hotel at 6 AM (with a mild hangover) and up to the grasslands by 7. The "grasslands" turned out to be a couple of fields that had grown over a strip mine. 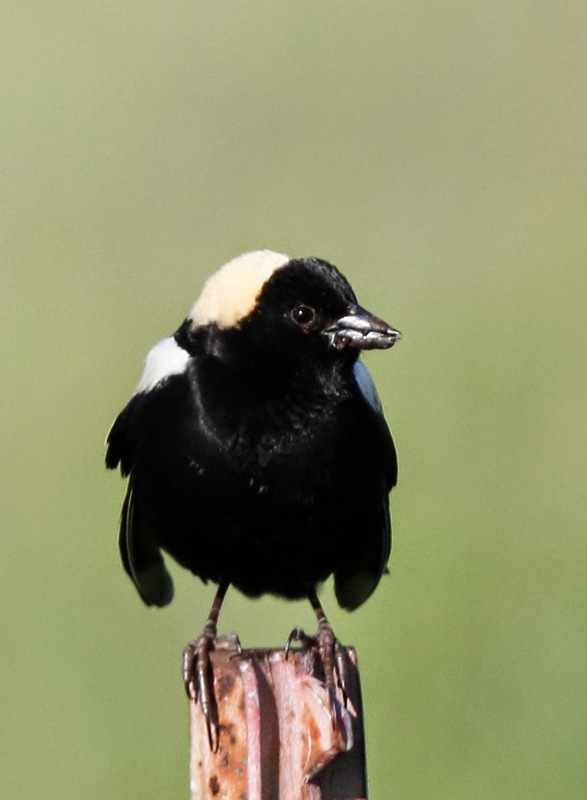 It turns out that grown over strip mines are actually good habitat for some birds such as my target - Henslow's Sparrow plus other cool birds like Bobolink and Meadowlarks. I'll save you the suspense and get to the same old story - it took me a long time to find the Henslow's Sparrow and when I did, it wasn't the wonderful experience that I had imagined. All of the other birds sat up and sang, did their flight displays, posed for photos but not that Henslow. No, he hid in the middle of the field. He didn't sing for 2 hours. Then he sat up on the top of a piece of grass for about 20 seconds - you know, just long enough for me to find him before he dove back into the grass.I'm counting that as a life bird but hoping to see another one soon. 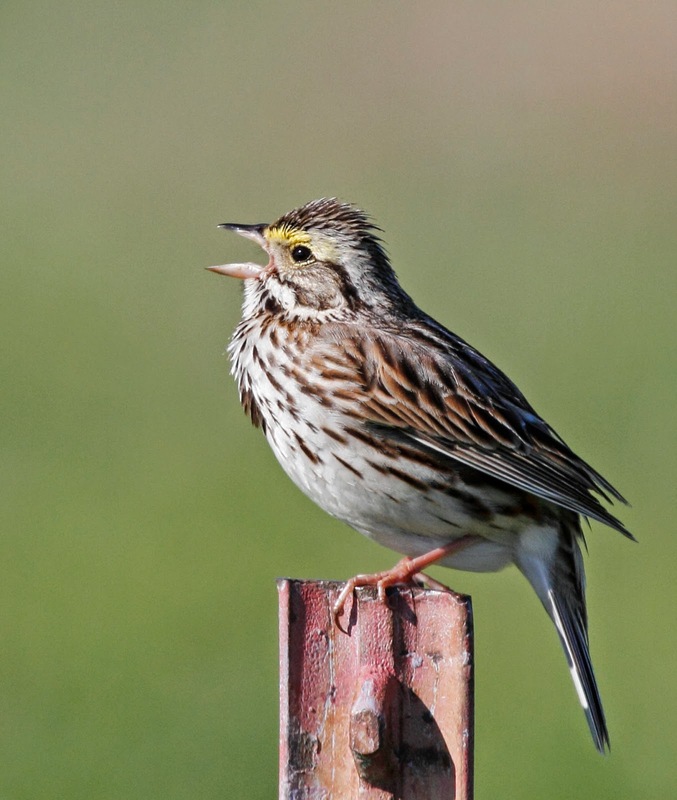 Here are some photos of the friendly birds starting with a Savannah Sparrow. This was his favorite post. He let me get really close with the car. 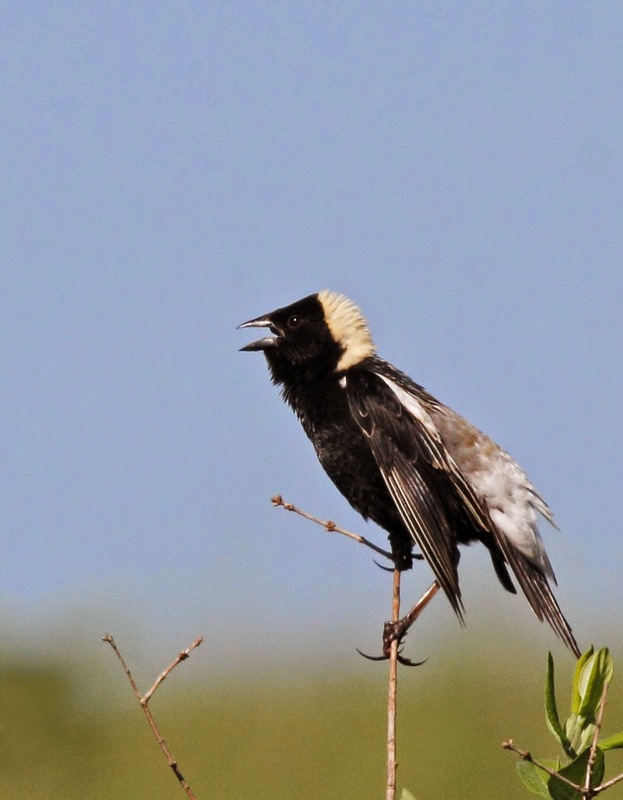 Bobolinks were all over the place singing their weird songs and fluttering around. 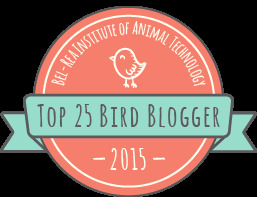 I love these birds. This is Grasshopper Sparrow which looks alot like the Henslow but has a better song. This guy was going gangbusters singing, singing, singing away. He looks like it takes alot of energy doesn't it? Meadowlarks were all over the fields too but I couldn't get a photo of one sitting still. Here is one flying around showing off. 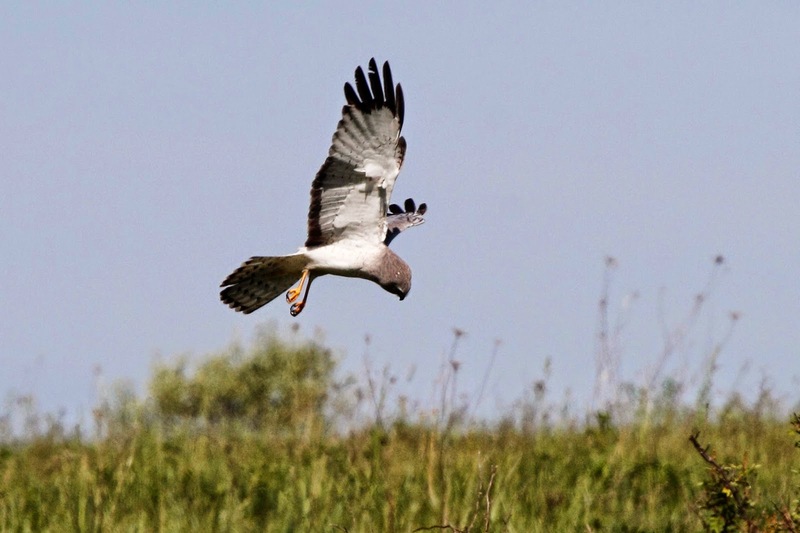 The bird that stole the show was this male Northern Harrier which is also known as Gray Ghost. 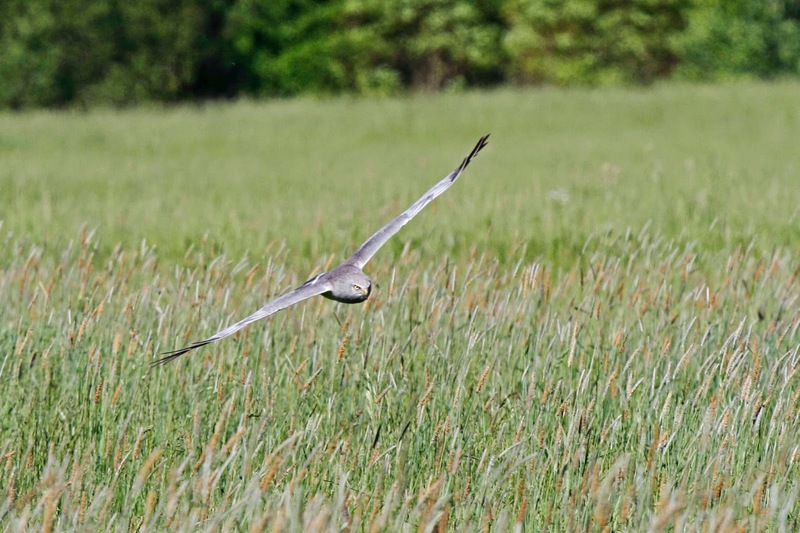 They hunt birds over the marsh and fields. 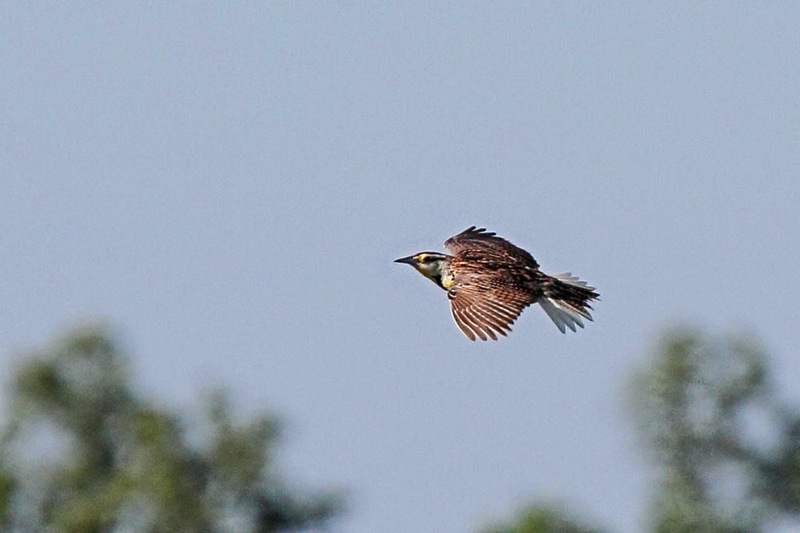 He put on a show cruising over the fields and occasionally diving down to try to catch a meal. Look how menacing he looks coming across the field. Here he is focused on something that he heard or saw in the grass - just about to pounce! 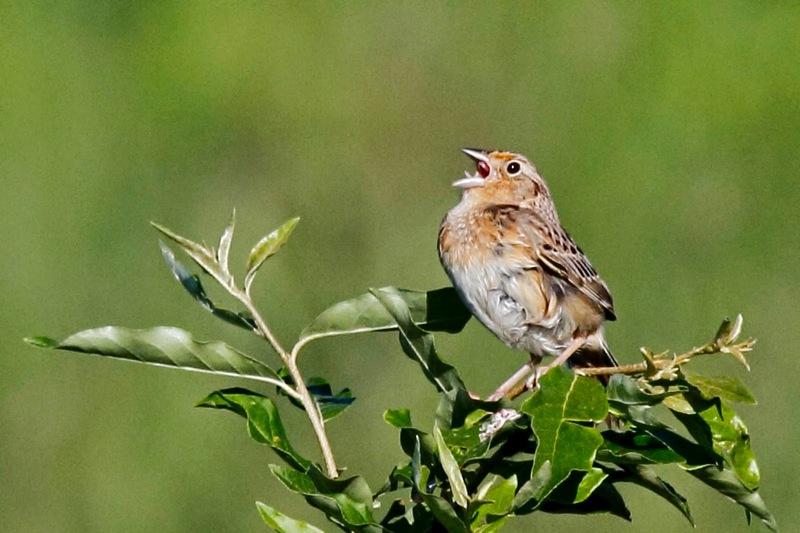 Maybe that's why the Henslow's Sparrow was too scared to sing! I was back at the hotel by 10:30 in time to say goodbye to the bride and groom.